We’ve made it!!! To the end of the year and to the end of Project365. It has been a momentous year to do this project and I think I am going to try and carry on. As I said before I may not comment as much but I will try and post a picture every day. Thankyou for being with us on this epic journey and through this project. 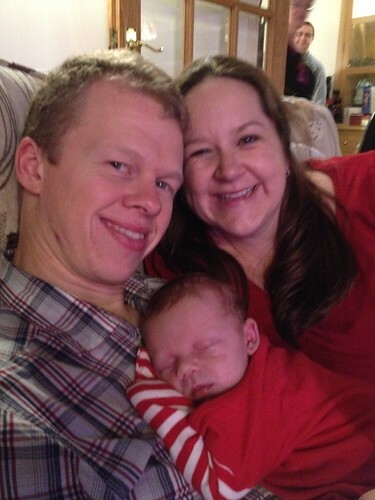 The Mister, The Little Mister and I would like to wish you all a very Happy New Year and we hope that 2013 will continue to bless and prosper everyone that we know. 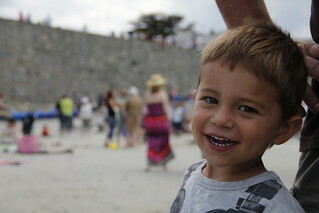 I have also been posting the 365 project pictures my profile on Facebook and on the 365project website. I have been debating whether or not to carry on for another year. I have so enjoyed it and it really has been a momentous year to chart in photographs. I think I will try and continue with the daily pictures, although I may decide not to comment as heavily as I have been doing. I guess we will see how it goes. 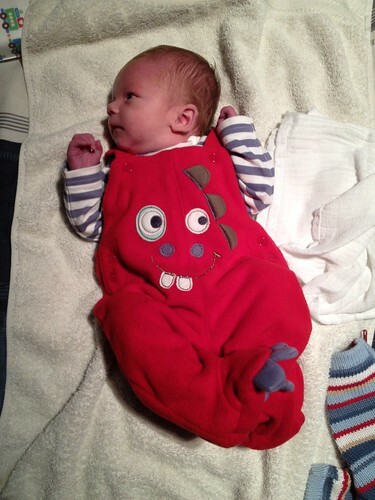 Today’s picture is of my gorgeous Little Mister in what is my favourite fleecy monster outfit. He is just gorgeous! 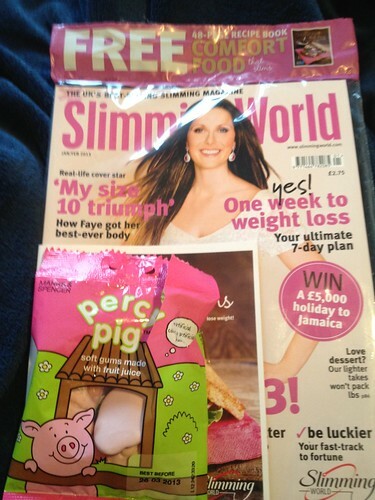 Well, if I thought that 2011 was a momentous year then 2012 has really eclipsed it! 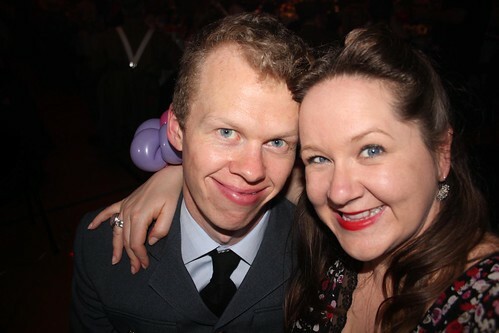 The Mister started his new job in January 2012 and we have both had to get used to him doing shift work. He seems to be enjoying his job, although hopefully there will be more developments that stretch him and give him more opportunities to show off his skills. Work for me has just continued along as usual. It would seem that drug users are the same wherever you work although the drugs of choice are different on the island. 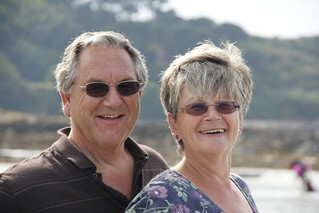 Being back in Guernsey has been wonderful. The opportunity to spend time with my family has been fab. My nephew, Barnabas, and niece, Eden, have continued to entertain us throughout the year and it has been particularly nice to see the relationship between them and The Mister develop. He is brilliant with them! 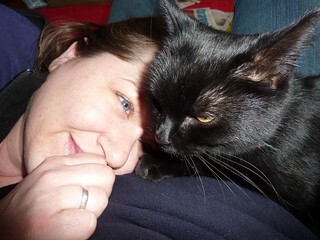 The sad bit of the year was when we had to have our lovely cat Delilah put to sleep. She had been getting more and more poorly and had renal failure, but she ended up getting hit by a car and had substantial injuries which meant that we had to take the tough decision. I know that it was the right decision, but I still really miss her. I miss the fact that she used to sit on my lap when I was watching TV. 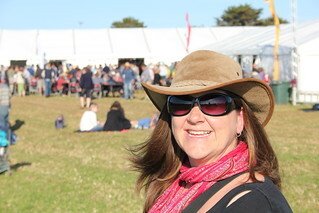 In June we went to Sark Folk Festival which was absolutely brilliant, apart from the camping was pretty basic! The music was amazing and the opportunity to spend some time on the beautiful island of Sark was pretty special. I would love to go back in 2013 but all the tickets have been sold and I decided the only way that I would go back next year would be if we could do it in a B&B. Sadly, there all the rooms were booked up before the end of the 2012 festival. Oh well, another year then! We also had a little trip to the UK to go to my cousin Sam and Sally’s wedding. It was fab, but boy was it wet! Shame it was in a marquee and I required my wellies by the end of the day!! As usual in August we went camping with Tom and Anne and the kids, and pants and Alien. 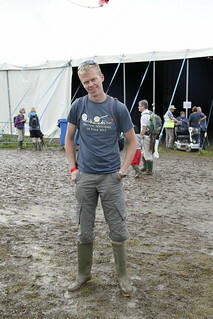 We stayed at a lovely campsite in Wales and then went to Greenbelt which was pretty much a giant mudbath. I have never seen so much mud at a festival and by the end of the weekend the centre part of the racecourse was pretty much impassable. Also I was so happy to catch up with Peterson Toscano again. So many things had changed for us both since we had last seen each other. After the festival we stayed a couple of nights in Bath before catching the boat home. Of course the biggest change to our lives, and something that has taken most of the year to prepare has been the arrival of The Little Mister. I’ve made no secret over the year that we required assistance to help us conceive and I am massively grateful to the doctors who treated us. 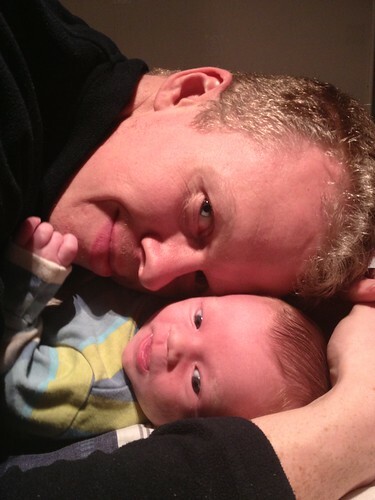 The Little Mister arrived on 14 December 2012 and he is absolutely wonderful. Better than I could ever have hoped for and the wait has been well worth it. I feel deeply for those people who shared my journey and experiences of struggling to conceive and I hope and pray that they will be successful in the coming year. I remember only too well how hard it is to hear other people’s news about their pregnancies or births and being disappointed and devastated. I still think of them often. I end 2012 extremely grateful for what I have. The Mister has continued to be amazing and seeing him with The Little Mister has made me love him even more. We are blessed beyond all measure and very, very grateful. Thankyou to everyone who has continued to read this blog over the year, I have appreciated your comments and hope that you will continue to share the story with us. The Little Mister, Mum and I made it to town today for a quick shop in the sales. 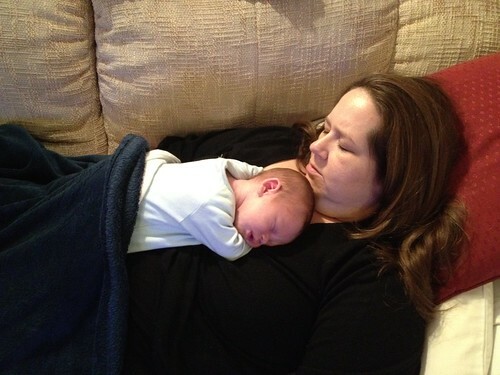 He was really good and stayed asleep for the whole time. The Mister worked all morning and has spent the rest of the day doing work at the house. He is working so hard so that we can move in. Life is full, and busy and we are very blessed. This morning was cloudy and warmish but the wind was extremely chilly. 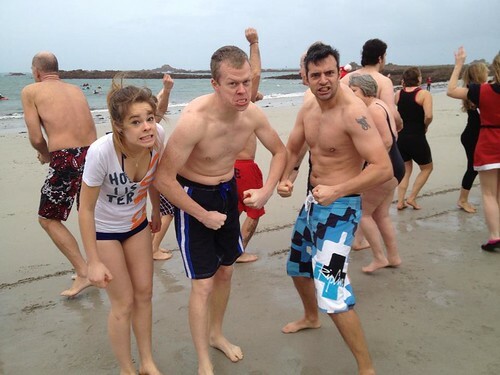 That didn’t stop the several hundred mentally unstable people who took part in the annual Boxing Day Dip in aid of the Guernsey Cheshire Homes. 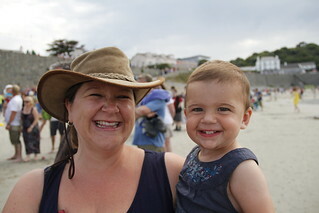 I love this event and we always see lots of people we know and enjoy having a short walk out to the beach. The community gathers together and there is something rather lovely about that. This year my cousin Stefi, The Mister and my brother-in-law decided to brave the cold and go in. Here they are pulling their ‘Muscle Face’ before legging it into the sea whilst screaming like pre-teen girls. Merry Christmas everyone. I hope that you have all had a wonderful day. As far at Christmasses go this one has been quite quiet – well in terms of there only being 7 adults for lunch as my sister and her husband and my niece and nephew were here for lunch. The kids have been hilarious all day. It has been a lovely day other than I have been feeling very uncomfortable today. The highlight of my day was seeing kids open their presents. 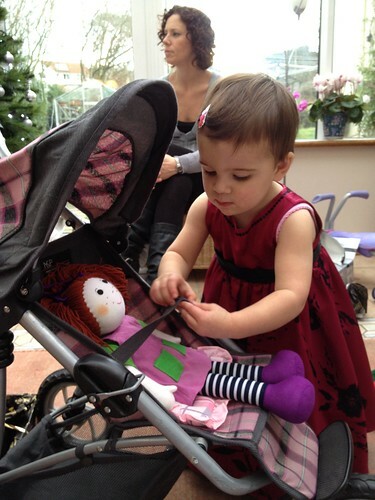 Barnabas received a Play Mobile garage from us and Eden received this buggy and dolly. It was a massive hit! 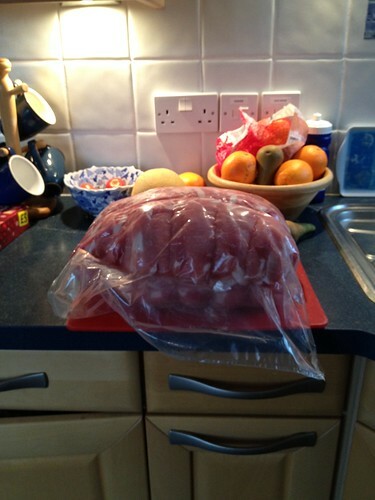 Today Mum went to pick up the turkey crown she had ordered for Christmas Day lunch. A couple of days earlier she had delivered her own stuffing so that the turkey could be stuffed. It would seem that she has not ordered a turkey crown but one from an ostrich. It is absolutely ginormous!